First Owner 02-07-1927 Marco Andriesse, Amsterdam, bought straight from the factory. Raced by Helle Nice in the thirties. 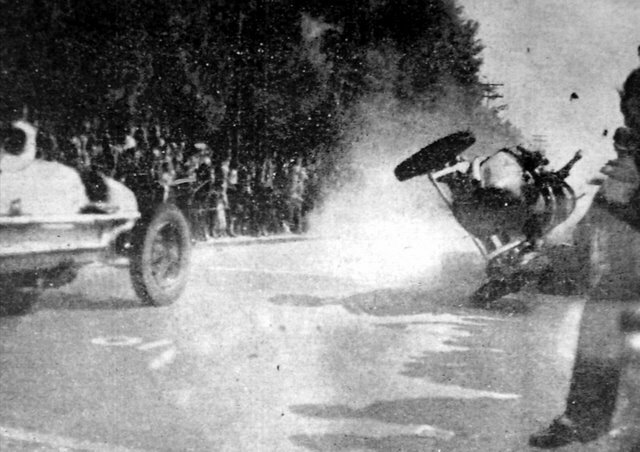 She tried to break the record at Montlhery on Dec 18, 1929, when she set a lap time of 197.708 km/h but did not break the record (1). Sold to Jack Leon Burton. Now in The USA . Converted from 35 C to 35 B specification by Crostwaite and Gardiner. Recently what appears to be the original tail has rejoined the car(2). Participated in various American events as can be seen on the pictures(3). 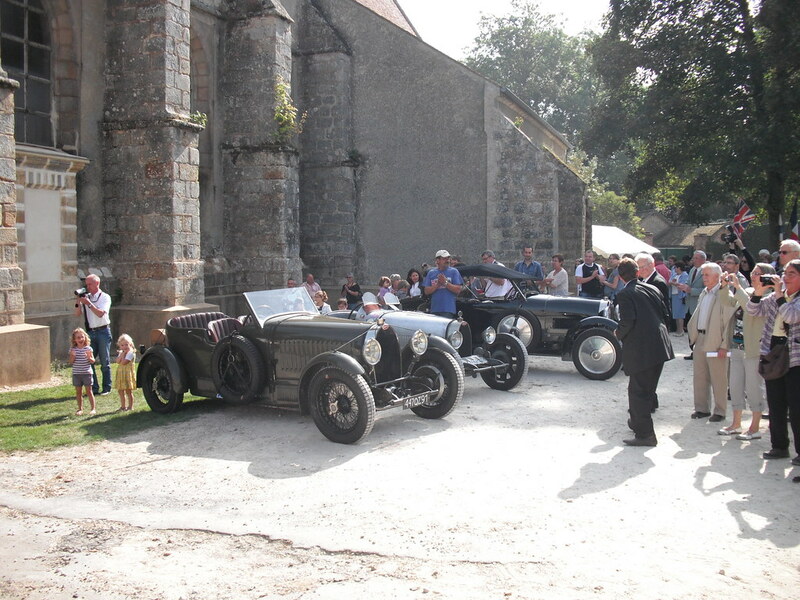 After having been "Pebble beached" by the previous owner Brian Brunkhurst successfully restored the original looks of the car and he first raced it in Monterey 2003. 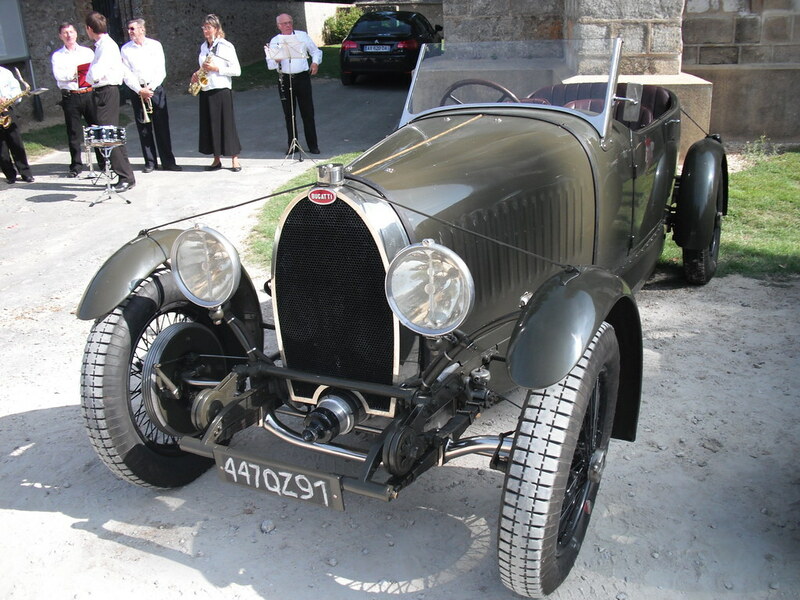 (3) Rheault, A. American Bugatti Register, 2nd ed 1988, 42. 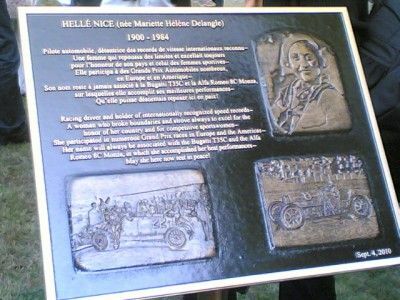 The Hellé Nice Foundation has announced a ceremony to be held in Ste Mesme, France on September 4, 2010 honoring French female racecar driver Hellé Nice. 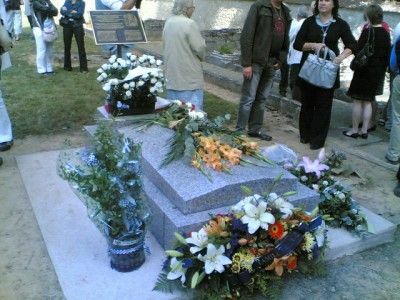 “For 26 years, Nice has rested in an unmarked grave and our foundation’s first project has been to raise funds and place a marker on her grave”, said Sheryl Greene. A Service of Commemoration will be held at the Ste Mesme church and in the adjoining cemetery where the marker will be placed. Speakers will include Miranda Seymour, author of “The Bugatti Queen”, essayist, lecturer and author of the Hellé Nice biography; VeloceToday correspondent and motorsports historian Dr. Patricia Lee Yongue and Sheryl Greene, originator and founder of the HelléNice Foundation. For more information contact Sheryl Greene at Sherylgreene@gmail.com or 404 429-9600 in Atlanta, GA, USA. Scuderia CC: Thanks for your report and pictures ! For everybody who has not read Miranda Seymour's Book on Hellé Nice: get it and read it- it's worth it ! Last edited by Uwe on Mon Aug 11, 2014 6:22 pm, edited 6 times in total.